This is a comfortable family bach with everything to make your stay relaxing and enjoyable. Just a 2 minute stroll to the ocean beach and a 5 minute walk to the Ohiwa Harbour. Wharf - great for kids fishing and also wharf jumping...be daring and try it at low tide for an even greater fall! Linen not included - please BYO sheets, pillow cases, towels, t- towels, face cloths, hand towels, dish cloths and beach towels. We require 50% deposit to confirm your booking, with balance to be paid the week prior to your stay. Bank deposit only. Any bank charges and/or fees associated with your bank deposit are to be paid by you (generally applicable for overseas deposits only). Prefer to rent to families and mature people. Linen not included, must BYO. Top bunk not suitable for children under 6 years or large adults. Any bank charges and/or fees associated with your bank deposit are to be paid by tenant (generally applicable for overseas deposits only). Heat pump in living area and oil bars in bedrooms. The upgrades to this property are tremendous. The layout works really well for a family. perfect location to beach, wharf, store. This is our 6th year to Ohope and the family has voted it to be the best house we've stayed in to date. Lovely family to deal with, just a shame the website lets us down a bit, no fault of the owners. Very spoilt being allowed to stay there. Thank you ! We absolutely loved staying here in Ohope. We absolutely loved staying here in Ohope. Great location, which is so handy to both the beach and harbour. Loved the beach views from the house and walking distance to shop. Bonus having the toys for the kids to play with and outdoor equipment to use at the beach. Hoping to book this bach again another time! The place was perfect for our stay. Directly opposite a beautiful part of Ohope beach. The outside (hot) shower is just magic when you come out of the surf. everything you need to have a fantastic stay is right there from a soda stream machine, BBQ, all cooking utensils. The beds are super comfy too. A lovely quiet spot - The bach was nice and clean and had everything we wanted. A lovely quiet spot - The bach was nice and clean and had everything we wanted. Great to have use of kayaks etc. Great bach, clean and comfortable, and lovely view of the ocean from the deck. 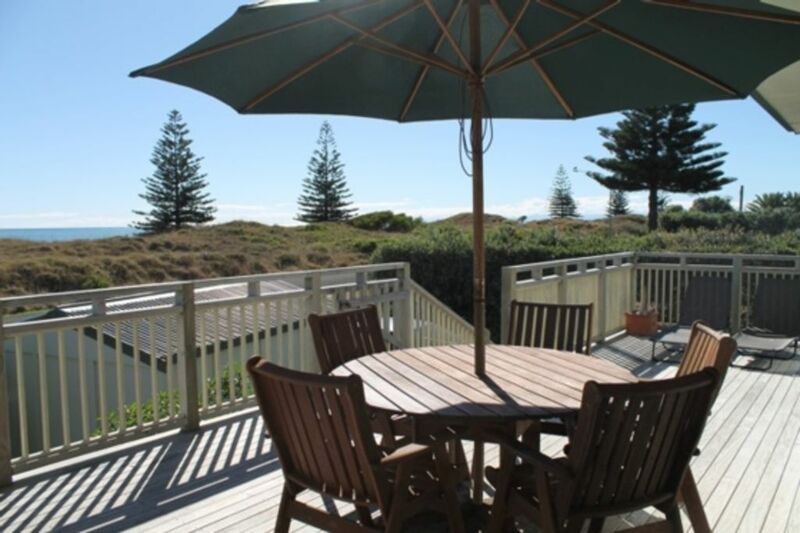 Great bach, clean and comfortable, and lovely view of the ocean from the deck. Easy access to both ocean and harbour.